The GF and I love to go out for New Year's Eve dinner. Most of the time though, we're left disappointed because it's typically an overpriced prix fixe that's bereft of quality cooking. That's often due to the fact that it is indeed NYE and oftentimes, the actual chef isn't in the kitchen. So we usually turn to the menu itself over the actual restaurant and hope for the best. 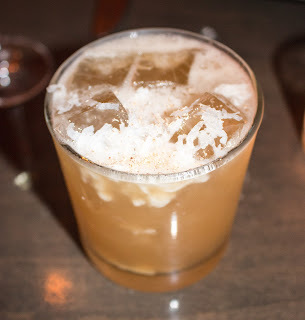 We continued with that strategy for 2015's last meal out and we're glad we settled upon Fine Palate. 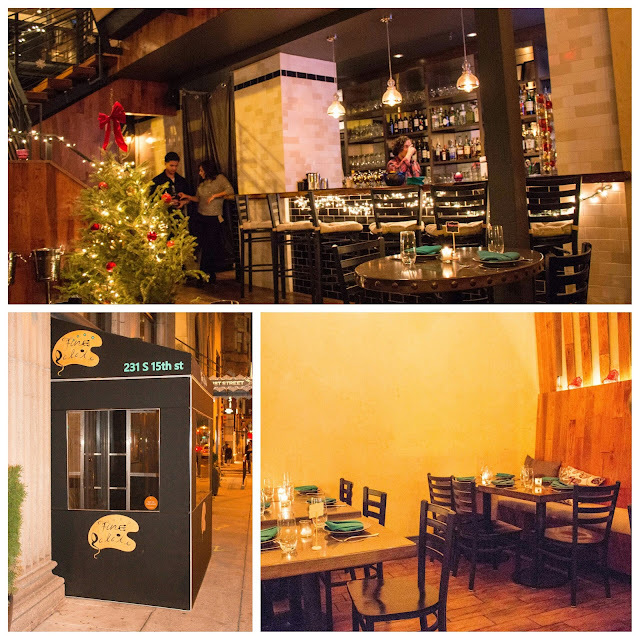 Fairly new to the restaurant scene, Fine Palate was opened up by the folks who brought you the food at Le Bok Fin. And located in Center City proper, Fine Palate's Courtney Dow and Chef Vince Joseph bring you an array of globally inspired cuisine. Their NYE menu was $95 pp, but an even more reasonable $79 pre-paid. 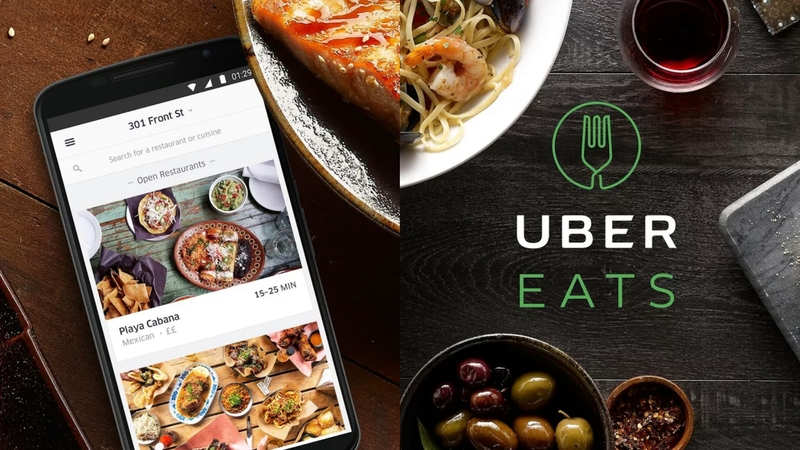 A bit awkward, but makes sense to source exactly what the kitchen needs on a night when reservations are easily canceled by patrons who might have last minute changes to their plans. 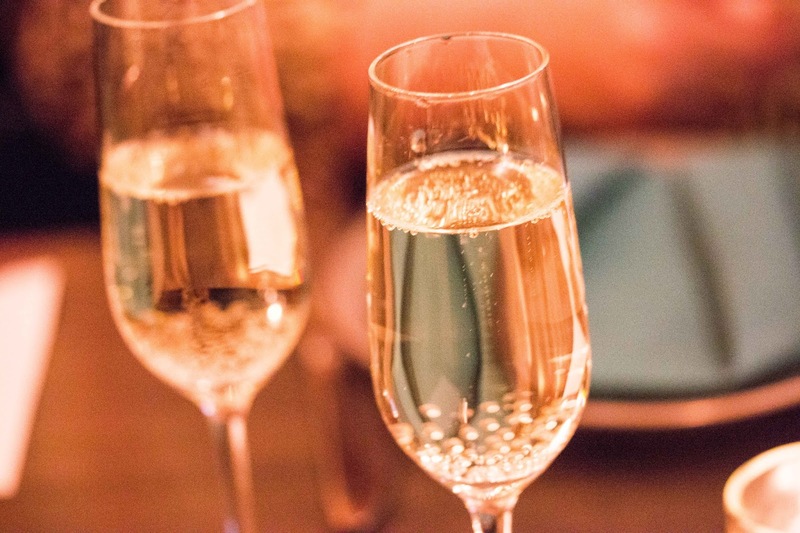 A perfectly crisp, tart, and floral flute of champagne was graciously provided to start our meal. A nice touch, to be sure. 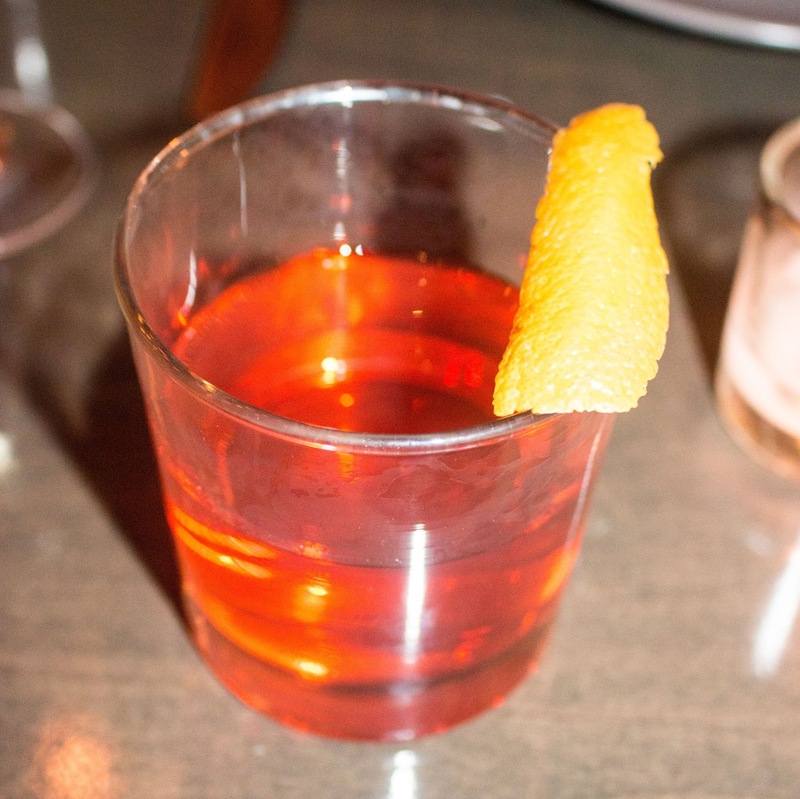 I also decided to enjoy a well-made sazerac that was nicely citrus forward with a light anise backbone. The rye certainly came through on the finish. The GF enjoyed the easily quaffable Painkiller, which had a nicely subtle sweetness that came through with the coconut shavings. The foundation was enjoyably tart and citrusy, with the nutmeg and cinnamon providing some balance. 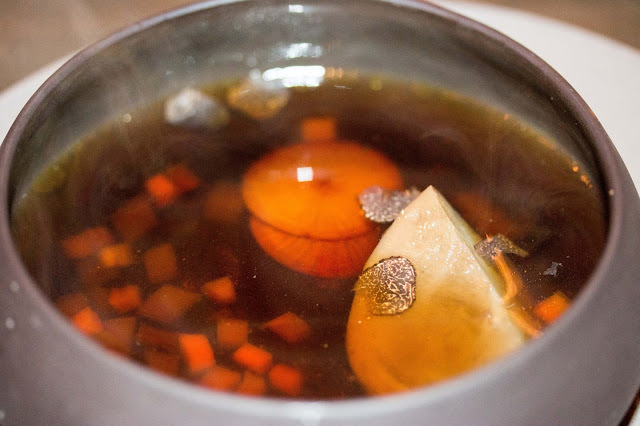 As a whole, the soup could have used a bit more salt, but it was certainly light and delicate, despite the earthiness from the black truffles. I did appreciate the bitterness from the radish - almost an apertif of sorts for the rich meal that was to come. The GF's scallops were beautifully presented, nicely seasoned, and delicately seared. The fragrant white truffles perfumed each bite. Stunner. 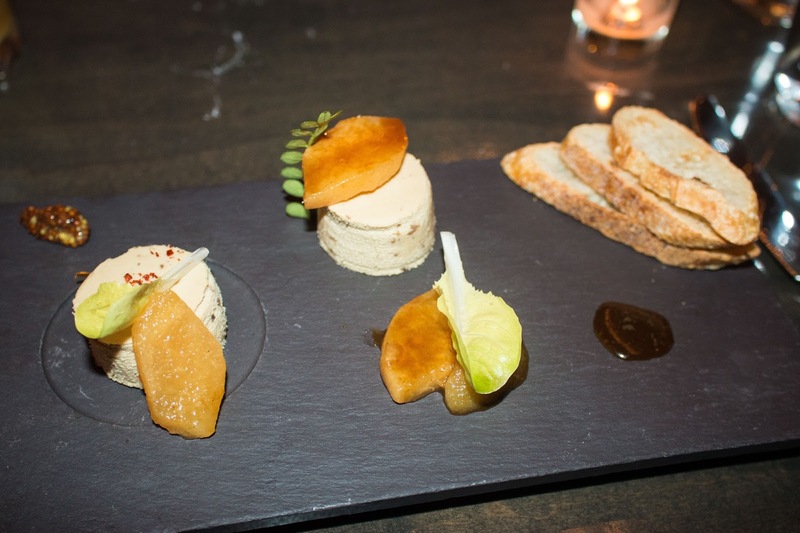 I went more rich with the smoked foie gras. A healthy portion (or two) of the torchon was provided, along with some stone ground mustard to cut through the heft of the foie and a nice counterpoint of sweet pear and honey. Some crusty crostini was the perfect vessel to assemble each delicious bite. 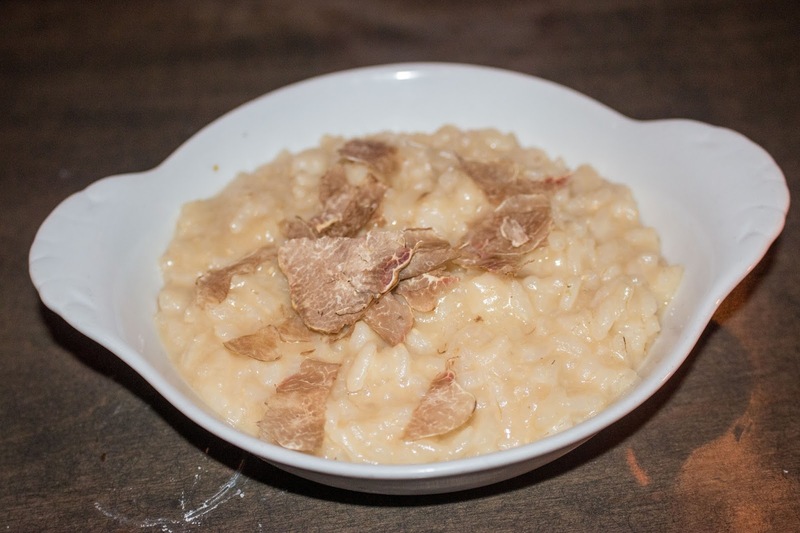 The GF and I each went with the risotto, though with white and black truffle, respectively. Each grain of rice had nice bite, but the risotto was still wonderfully creamy overall. And who could say no to a rain of white truffles? Could easily eat a pot of this. 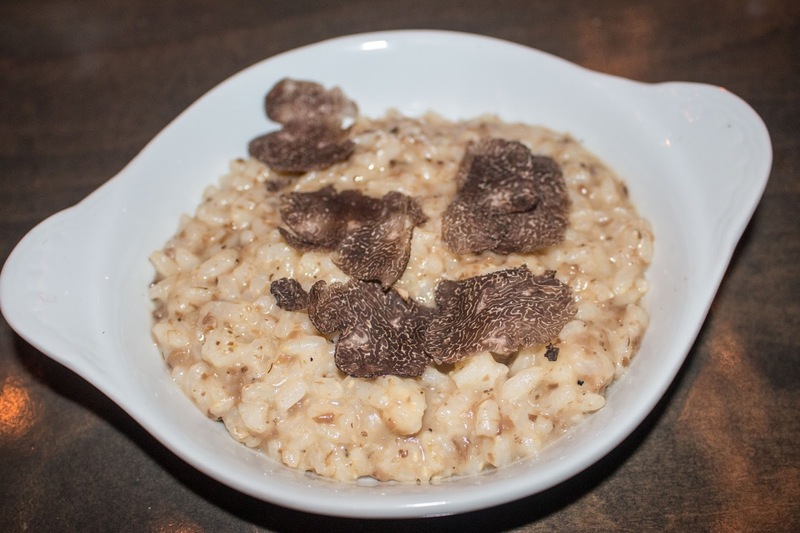 My black truffle risotto was more earthy, but just as delicious and even heartier. 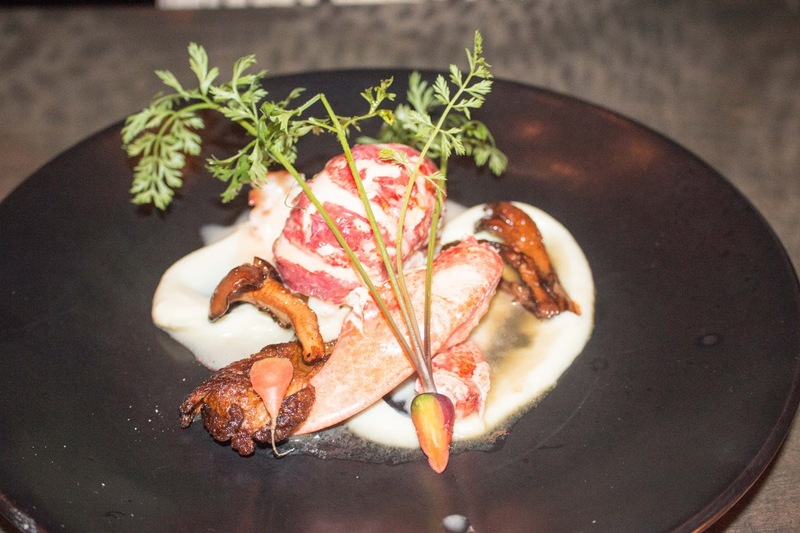 For her main, the GF received a gorgeous butter-poached lobster. Sweet, snappy, and succulent, the lobster was accompanied by other elements that were spot on from the light celery root puree to the well-seasoned porcini. My buffalo filet was tender, moist, and surprisingly light. 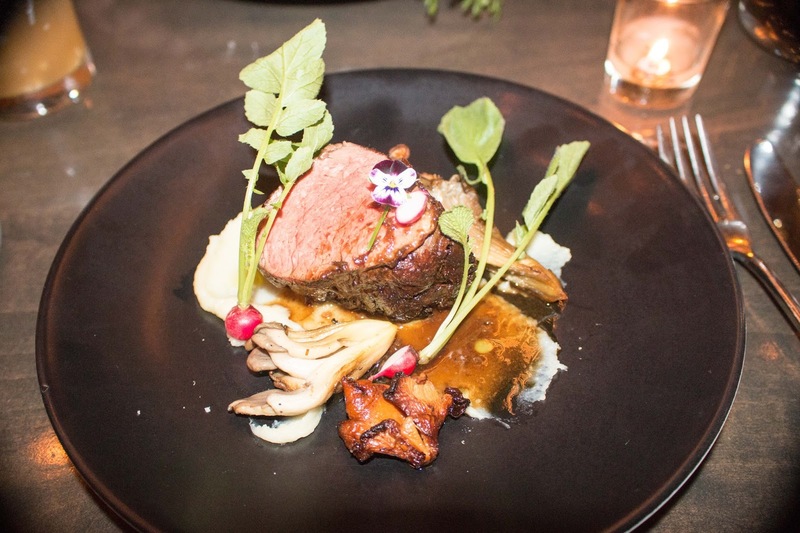 Better yet, it had a well-seasoned crust that wasn't overbearing, with the mushrooms and black truffle jus adding some earthiness to each bite. The baby radish was a nice countervailing element to provide some bitter balance. 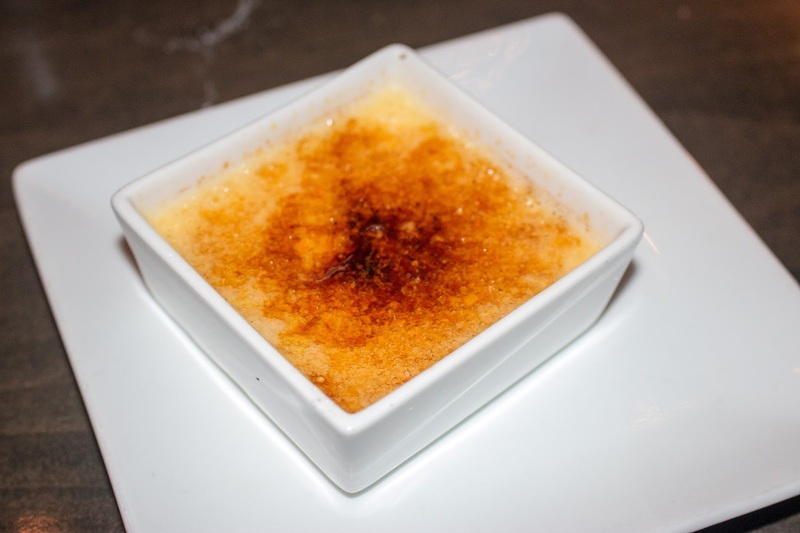 For dessert, we each received a small pat of creme brulee - sweet, redolent of vanilla, and with that expected crust of just-burnt sugar. Simple, but enjoyable. Overall, Fine Palate exceeded my expectations for a NYE dinner. Usually when you see truffle on a prix fixe menu for the holidays, we're talking about truffle oil. 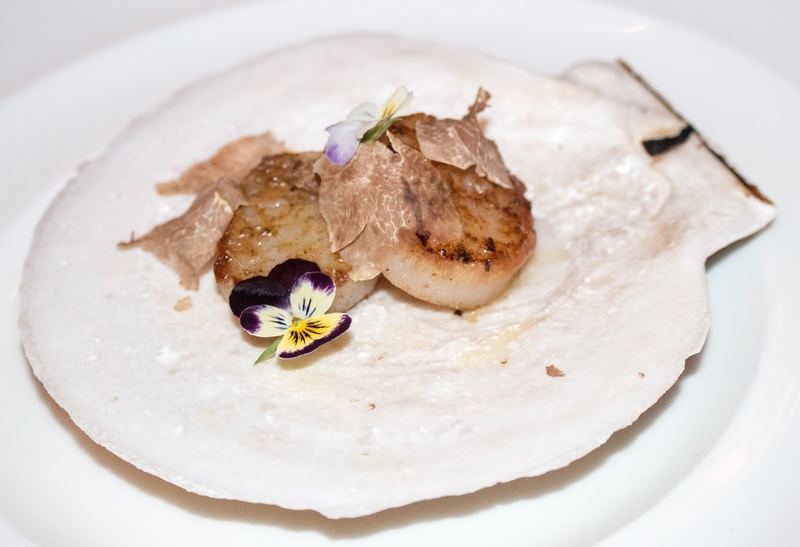 Chef Joseph and staff clearly know what they're doing in terms of execution and balance. I'd highly recommend stopping by - I know I'll be back in 2016!